It’s taken almost half a century but Australian forces who fought in one of the bloodiest battles of the Vietnam War are finally to be recognised for their bravery. Soldiers who resisted attack at the Battle of Coral-Balmoral, which claimed 26 Australian lives, learnt on Thursday they were to be honoured with a Unit Citation for Bravery. The recommendation comes ahead of the 50th anniversary of the battle on the weekend of May 12-13. The Defence Honours and Awards Tribunal posted the decision on its website on Thursday morning, stating that members had arrived at the recommendations unanimously. It said: ‘Throughout the submissions the theme of teamwork and collective gallantry is readily apparent and consistently referenced. Do you or a member of your family need to speak to someone who understands problems experienced by serving personnel? Don’t forget your Battalion/Area Medical Officer and Padre. Have you left the Army and miss being with your mates and others like yourself? Are you considering lodging a claim with DVA or are having problems with an existing claim or payment? Contact your local RSL Sub-Branch. Have you been wounded or injured and are having problems? Are you or a member of your family experiencing anxiety or depression? Contact BEYOND BLUE at 1300 22 4636 or visit www.beyondblue.org.au. 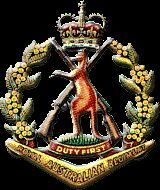 ADSO is an Alliance of major Defence Service Organisations whose members include current and past serving ADF persons. It was formed to protect and represent the Defence Family’s (past and current serving ADFmembers and their immediate families) interests by active engagement with the Parliament. The Defence Family’s community of interest size is about 3 million people. Its objective is to protect the Defence Family’s interests and right the wrongs imposed on it by successive Australian governments. ADF members and veterans’ health issues with a number of initiatives taken by the previous Labor government and ongoing work in this area. ADSO is non-partisan and does not represent any political party. It does not support or oppose any political party. It does, however support or oppose policies that may help or hinder serving or former ADF members and their families. "To obtain parliamentary approval for ADSO objectives." By necessity it operates within the political arena on an issues basis. ISSUES – OUR LOG OF CLAIMS. ADSO’s Fair Go Campaign’s objective is to protect the interests of the Defence Family and restore their legal entitlements that have been denied or removed by successive Governments. 1. Restoration of Fair indexation to DFRB/DFRDB under aged 55 and all MSBS members because of the inequity from excluding them from the Government’s legislation (Fair Indexation Bill 2014) that restores its purchasing power to DFRB/DFRDB superannuates from 1 July 2014. 2. Restoration of DVA Disability Pension indexation to parity as legislated by the Coalition Government in 2007 and removed by the Labor Government in 2009. Veterans’ Disability Pension is compensation for injury and foregone ability to earn wages/salary. It is not a welfare payment. 3. Abolition of MSBS maximum benefit limits. 4. Increased support for Veterans’ health care. This does not represent all ADSO policy objectives but is a reflection on our concentration of effort and concurrent activity. We remain disappointed that the Coalition has avoided any firm commitment to restore the DVA disability pension indexation to that which they, the Howard Government in 2007 legislated but was withdrawn under the Labor Government’s term in 2009. Why won’t the Coalition Government restore what was their 2007 correct decision? There are 109,000 disabled veterans who are damaged physically and/or mentally from their military service. Of those 109,000, 29,000 have TPI/Special rate status that limits the hours they can work and hence capacity to maintain their standard of living: their loss since the 2009 removal of indexation parity is $3,300 p.a. and increasing each year See a summary of the issue and the pre-election positions of the ALP and LNP here. Our strategy to build good relationships with mutual respect and understanding with all political parties and Parliamentarians is in place with good working relationships with relevant Government Ministers, their Opposition counterparts, including the Greens and minor party individuals. We appreciate their commitment to on-going informal dialogue on matters effecting veterans. While the Government has not pledged an early ‘fix’ of our priority issues, their pledge is to keep them under review, and to discuss them at regular informal meetings with us. Recognition of this relationship can be seen in the Fair Indexation Bill’s reading in both the House and the Senate where specific mention was made of ADSO leaders; David Jamison, Alf Jaugietis, Bob Ihlein and supporters Peter Criss and Peter Thornton, who had helped those MPs/Senators to understand the veterans’ issues. following the expiration of the current WRA in November 2014. As an independent intervener in the DFRT process, DFWA will lobby hard on behalf of ADF members and will seek advice from them on their views as the case progresses. WILL YOU HELP DEFEND THE DEFENDERS? With over 250,000 people directly affected and who will benefit from the campaign’s success, we expect that they and their families would want to help us to help them. If you’re a Defence Family member and none of the injustices directly affects you or your family, then please get involved to help care for the Family. If you’re not a Defence Family member then please help those who are willingly to give their lives in service for our nation’s defence.  If you are have already joined us as a SUBSCRIBER to receive our Updates, then increase your involvement by VOLUNTEERING to join your local electorate Action Team: check out the commitment and bring your friends and relatives to join.  Become an ADVISOR. Help guide us with your experience and expertise in a particular Campaign activity, such as marketing/ public relations, media, investigative journalism, superannuation, legal, health, information services and technology, accounting, financial planning, sales etc. Get your whole family involved, especially your spouse/partner. Remember that for military superannuants your widow receives a portion, five/eights of your superannuation payment, for her life time: a paltry amount that is an issue on our agenda. From The Fair Go Team our thanks to all our Action Team warriors and supporters.